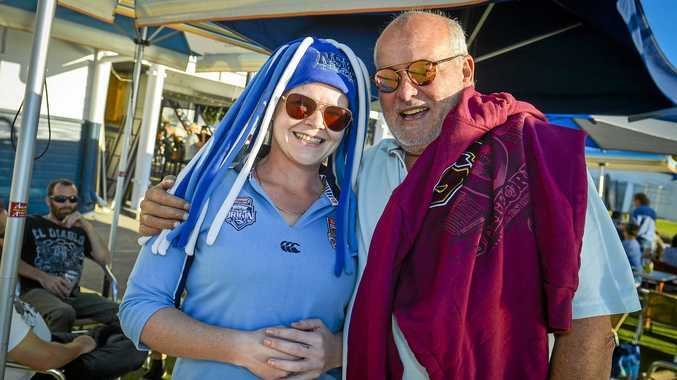 FOOTY fever hit Gladstone yesterday for the historic Sunday evening State of Origin game. While New South Wales are already winning by getting a Monday public holiday, it didn't stop Gladstone locals from getting out and celebrating the big game. Central Lane hotel had a host of activities on offer, including meal deals, free entertainment and open pool tables. The Gladstone Yacht Club also had plenty of colour on who, with some families divided in their allegiances for the big afternoon of footy. At the end of the day, it was mostly maroon seen around town but New South Wales fans were certainly out in force, confident of clinching the series with a big win.